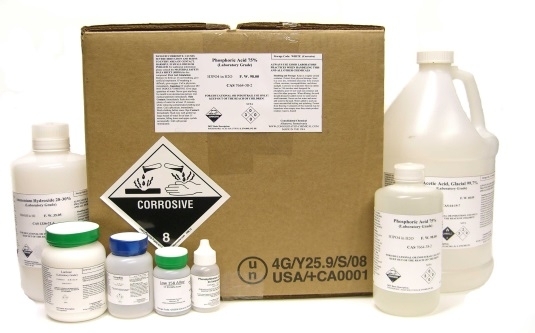 Welcome to the Consolidated Chemical & Solvents LLC web store! We offer a wide range of products including acids, bases, metals, and solvents in grades ranging from ACS to Technical. We offer our products to business, individuals and institutions. We have been in business for over 5 years and are committed to servicing your every need, we offer private label services on a large verity of products, as well as custom formulations and chemical blends to our customer’s needs. Our web store is just a fraction of what we have to offer and is up dated with new products weekly, if there is a product or blend you require please contact us as we will be glad to assist you. Product description Acetanisole is an aromatic chemical compound with an aroma described as sweet, fruity, nutty, and similar to vanilla. In addition Acetanisole can sometimes smell like butter or caramel. 30ml (1 fl oz) Package in Glass Bottle Fragrance/ Aroma Compound Product description Odor Description: a highly diffusive and intense floral-fresh aromatic, reminiscent of orange blossom CAS: 23911-56-0 Molecular Weight: 174.19910000 Formula: C11 H10 O2 Packaged in glass bottle 30mL(1 fl oz) Indian Re-Distilled The herb peppermint, a natural cross between two types of mint (water mint and spearmint), grows throughout Europe and North America. Both peppermint leaves and the essential oil from peppermint have been used for health purposes. This item is to be prucahsed where there is a customer order to be placed, This will allow us to obtain your billing information as well as your ship to address via a secure connection.